After a little vacation, Black Mountain Birdie is back in action in "the little town that rocks." It's good to be back! Black Mountain Center for the Arts will be hosting the 8th annual Art in Bloom. This is a great event that will feature art work on loan from area galleries, floral designers' displays, plein air painters and more. June 12-14. Get more details here. Park Rhythms is a town favorite and best of all, it's free. Concerts take place at Lake Tomahawk every Thursday evening, beginning June 26 from 7-9 p.m., and continue until August 14. Bring your picnic blanket and chairs. And by the way - there's food! Check out the full schedule and see which food vendors will be available each week. 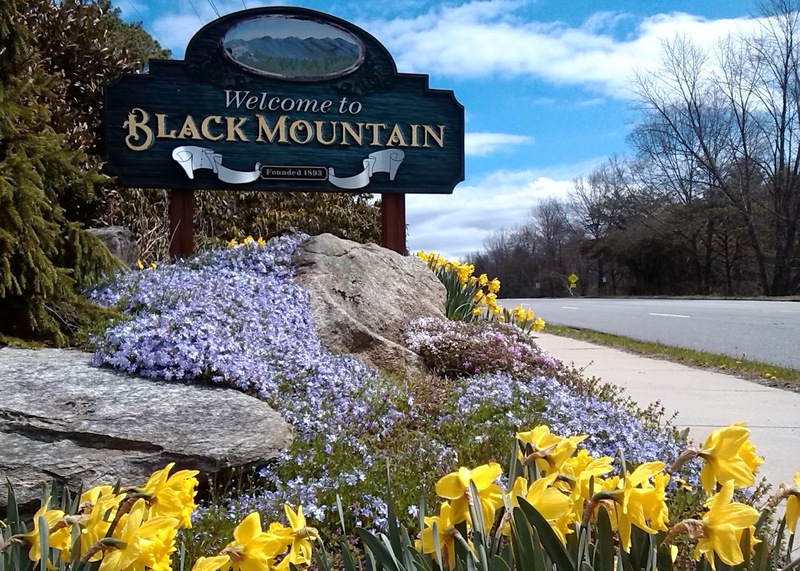 If you're looking for anything from a quick bite to some fresh flowers, the Black Mountain Tailgate Market started back up in May and will go until October from 9 a.m. to noon. Get more info about the vendors here.